WHATS YOUR TOP TEN VINYL COLLECTION? LOL - good one - actually I still have a lot(tons) of vinyl from the good ‘ol days. I would actually have to dig them out to see what I have. Off the top of head - I have practically every AC/DC albums up to the early 80’s. Queen, REO Speedwagon, Journey, Van Halen (david lee roth era), Tom Petty, Bob Seger, Bon Jovi, Styx, Bad Company, Peter Frampton, tons of the Beetles ….dang… it's just endless supply that I have in my possession. Maybe the next poll Collection should be “top ten 8-track collection”…. Wonder if many are aware of 45's and 78's? One thing i can is certain artist sound better on a vinyl record. Janis joplin (not a fan) her music just sounded better. Led zeppelin 4 just isnt the same on cd or digital. The build up of the vinyl hitting the needle then Black Dog kicks in. Also RUSH just sounds better too. I didn't own too many vinyl albums. I remember as a Kid I has Sesame Street Fever, when Saturday Night Fever was out. As I got a little older I remember having a couple Van Halen albums, Pink Floyd's Dark Side of the Moon, and a Styx album. 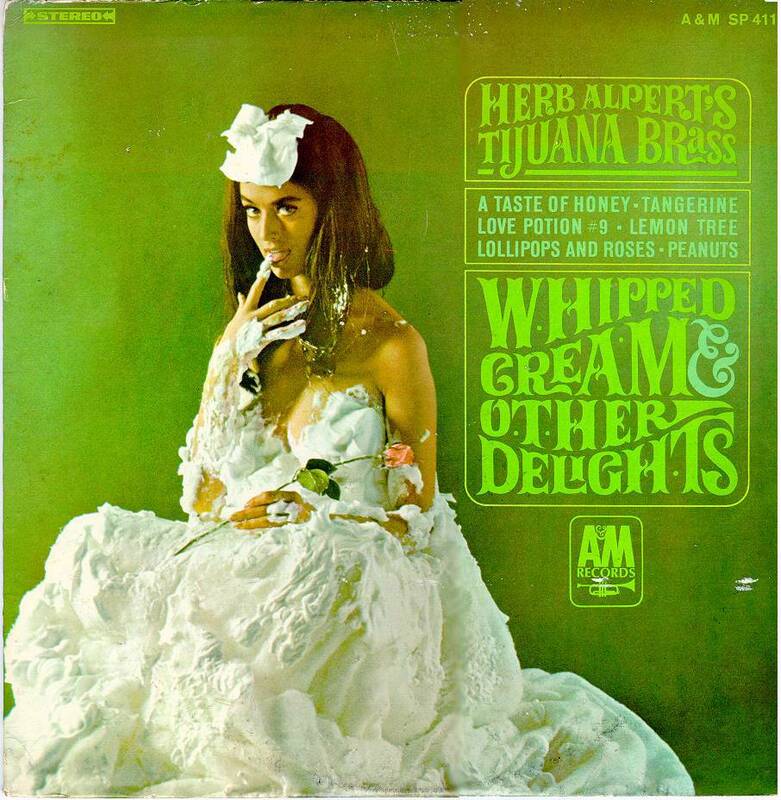 My favorite was my dad's Herb Alpert album: Whipped Cream and Other Delights. I never listened to it, but man I stared at that cover for hours.